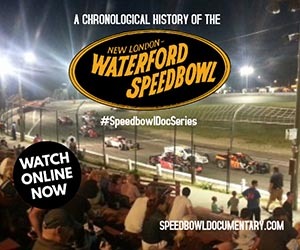 Vault Productions founder and Waterford Speedbowl historian Tom ‘Sid’ DiMaggio will be recognized in April by the Connecticut Sports Writers’ Alliance as one of 6 recipients of the John Wentworth Good Sport Award. The award is presented to individuals who have shown an unselfish dedication to sports in the community. The presentation will be part of the CSWA’s annual Gold Key Awards Dinner held on April 28th. 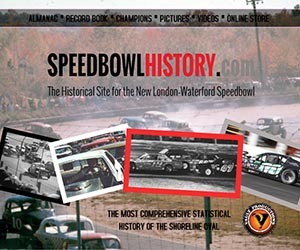 DiMaggio has been an active historian for the Speedbowl since 2005, researching the entire statistical history of the track dating back to facility’s first season back in 1951. 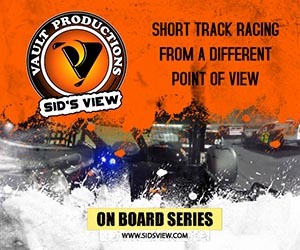 He also produces two video projects about the track: a documentary film project chronicaling the continuous operation of the track and a weekly webisode series entitled ‘Sid’s View’ which began in 2010 and features coverage of the current events from a fan’s point of view. Over the years, DiMaggio has also served as publisher of the track’s weekly program and held an annual homerun derby exhibition pairing Speedbowl drivers with Little Leaguers in the community. DiMaggio’s efforts with his Vault Productions crew are done on a largely volunteer basis. Previous recipients of CSWA honors in the northeast auto racing community include the late Stafford Motor Speedway owner Jack Arute Sr as a prestigious Gold Key recipient in 1998, racing promoter & announcer Ben Dodge for the Good Sport Award in 1992 and former NASCAR Whelen All-American Series Nat’l Champion Keith Rocco in 2010 as Male Athlete of the Year. The Connecticut Sports Writers’ Alliance was founded in 1939. The Alliance, made up of sports writers and editors – active and retired – from around the state of Connecticut, meets monthly from September to June. The Gold Key Awards are the highest sports honor in Connecticut as the Alliance recognizes those who have made significant contributions to athletics in Connecticut.